Bees live in wholeness. They dedicate themselves to working within the hive in ways we humans don’t grasp because we humans have individual personalities. Bees have the hive, and each individual pours love into the care and keeping of the colony. A typical bee colony is made up of thirty to fifty thousand honeybees living inside a magical, womblike enclosure. Though individuals, every bee within the colony works for the good of the hive to help it function perfectly. Honeybees are interdependent, relying upon each other to create the working hive that allows and encourages them to flourish. They live in a perfect communion most of us lost long ago. The bees help jog our memories of what it is to live a life of devotion, joy, and loving membership in a strong, committed tribe. Each member of the hive donates 100% effort to all interactions. That’s quite an interesting idea to me, because I was raised with the idea that fifty-fifty is the goal for a two-person relationship and that, in larger human groups, each person giving a little bit is enough to carry a group forward. The hive model of 100 percent effort given to all tasks by every bee is a wild idea that got me thinking: What if we humans set aside our indomitable nature and put the betterment of all in front? What would that do to our relationships, communities, and the world? To this spirit of Unity, we dedicate our Spirit Bee website. We hope that by showing you more of the bees’ perspective, we can work together for the betterment of all. 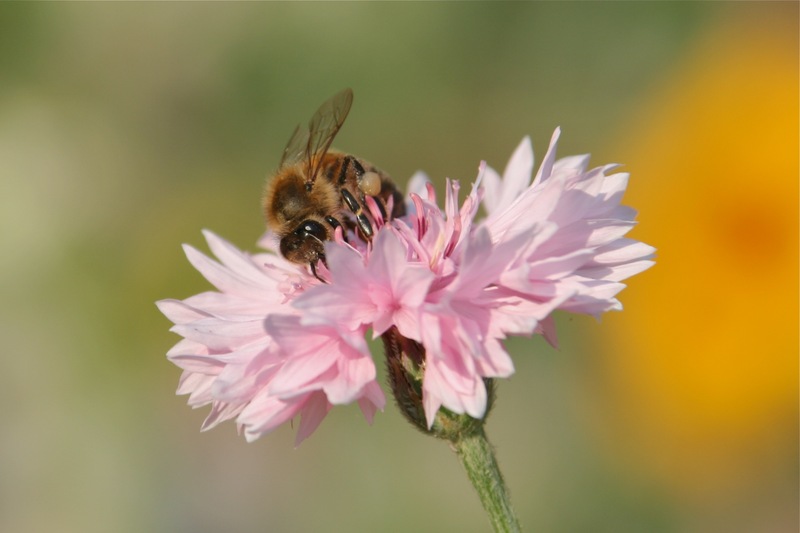 We invite you to explore new information about honeybees and their natural and spiritual role in the world of Nature. We invite you to explore our site to discover what we are about. Sign up for our every-so-often newsletter — click on the pink flower image and enter your email. Then check your mailbox for the “approve” message that completes your signup. 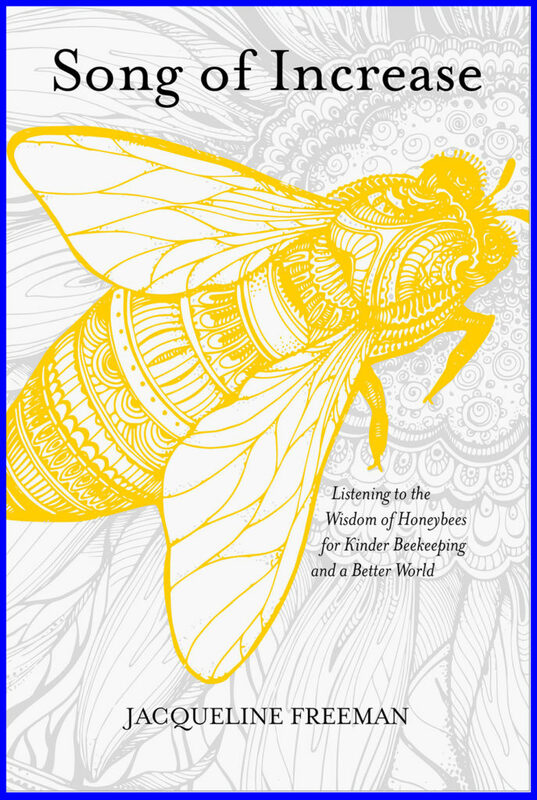 Song of Increase teaches us to interact with bees (and all of Nature) in a respectful manner. You will become a better keeper of bees and through your behavior a better human being. Click the book cover above to learn more about Song of Increase.